We were pretty excited to watch Hop. We rented it just before Easter, thinking it would be a fun way to carry us into the holiday weekend. 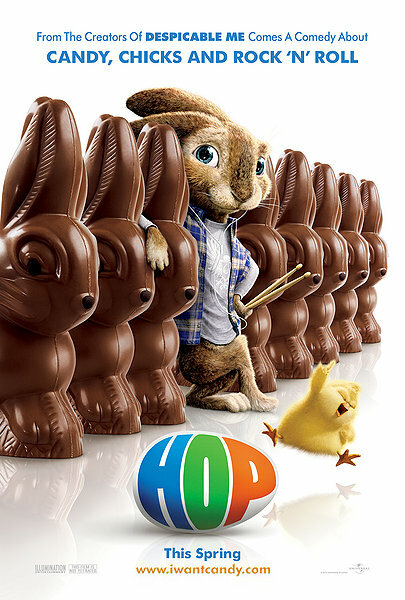 I had heard on a morning radio show that the movie was ‘cute’ and ‘an evening well spent.’ I mean, what is not to love about fluffy bunnies, dancing fat yellow chicks, Easter and candy factories? 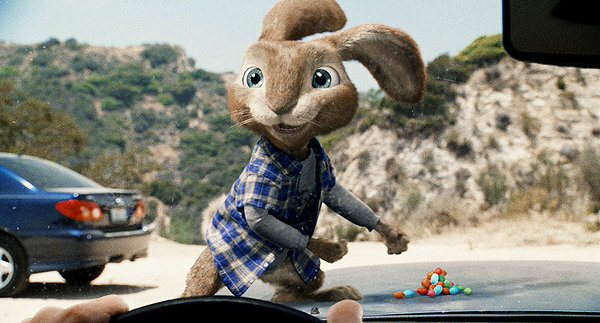 Hop looked like something right out of Cute Overload. For the first five minutes (give or take), all of the previously mentioned evidence held true. Theeeeeeen things fell apart. I could give you a few alternative options that would result in you and any companions actually having a good night. Since I am not a particularly negative person, I’m going with the latter. 2. Who Framed Roger Rabbit– Watch it with the kiddies? No. However this is a fine, example of how to integrate live action and animation. 3. Puss in Boots– THIS is how you do cute overload material in a creative way that is appealing to children and adults alike. Movie industry, take notes please. 4. The Muppets– Fun, nice, you actually like the characters…wow, that is a crazy concept, no? It may not be Earth-moving but it is inoffensive and happy. 6. Finding Nemo– This movie illustrates what I feel is a very important aspect of movie-making. The audience MUST care about what is going to happen at the end of the movie. Eight, that sounds like enough right? Also, no jelly bean pooping bunnies. I call that a win-win situation. Now, it is past my bed time and I have to get to work bright and early. Enjoy and you are welcome.